amongst few cafe (no capitals intended) is located in Palm Strip Mall in Jumeirah next to the Flag Pole. Don’t let the Mall in Palm Strip Mall fool you. It’s more of an open air strip of retail shops. The location instantly gives off a relaxed and retro feel which is a significant pull for me. The space is designed with industrial (metal and concrete) and organic (greenery and wood) features. The large windows welcome in morning bright light and evening city lights. The cafe has also has an outdoor space to enjoy in winters. Park in Palm Strip’s outdoor parking and take the outdoor escalator up to amongst few cafe. 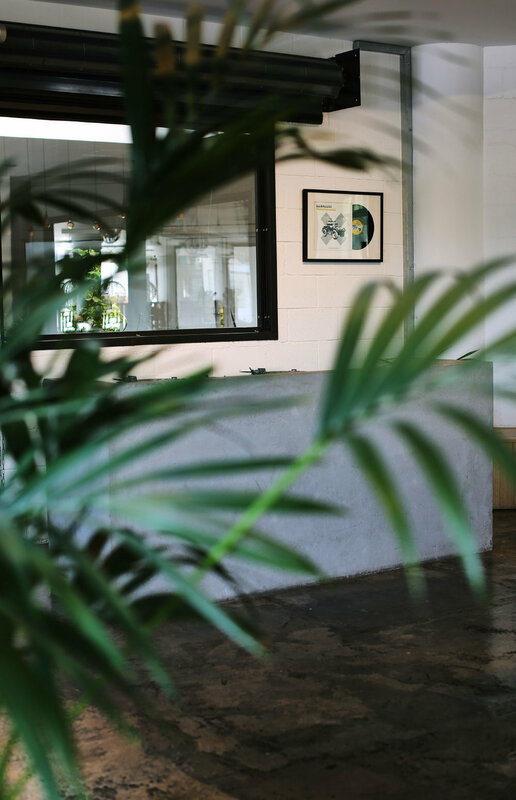 The owners of the cafe are Flo Moser and Mike Taylor from amongst few online and retail shop focusing on unique sneakers, T-shirts and records. I see them in the space every once in a while which satisfies me. The cuisine can be described as international healthy with the menu divided into, breakfast (porridge and eggs), lunch/dinner (tacos and burgers), salads (Greek and beet/lentil), sweets (choc-pumpkin and carrot cake), and drinks (hot, bottles, homemade, cold press and smoothes). I’m usually at amongst few cafe for breakfast. If I’m having a savoury dish, I always prefer a combination of protein and fresh vegetables. 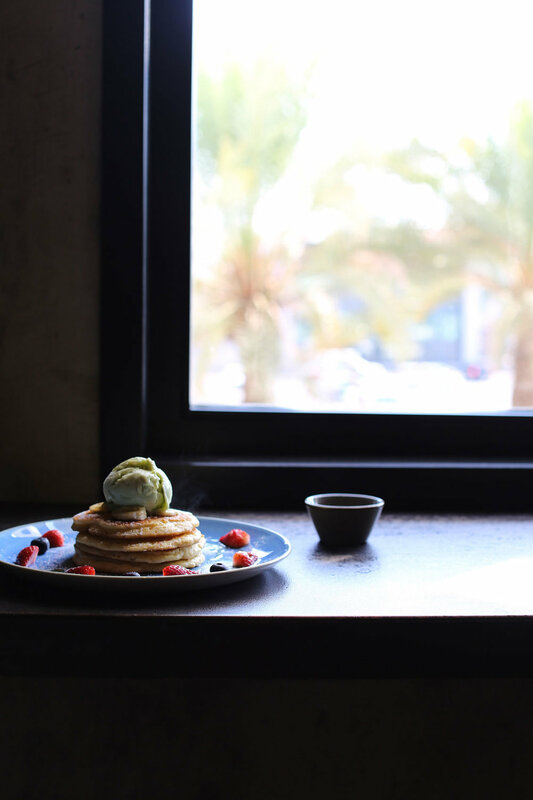 The breakfast offerings are priced at an average of AED 47 while the lunch/dinner offerings are priced at AED 50, more or less the same price range. All dishes have the same good quality produce. Therefore, I would expect breakfast price ranges to be more competitive than lunch/dinner ranges as lunch/dinner options provided are more complex. 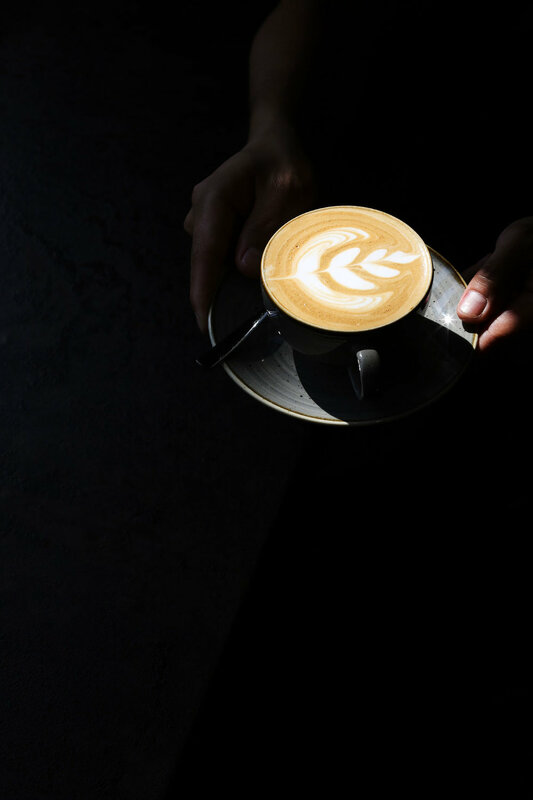 Coffee at AED 23 is towards the higher end of the spectrum. I always frequent amongst few cafe whether with friends or on my own for a weekend breakfast. 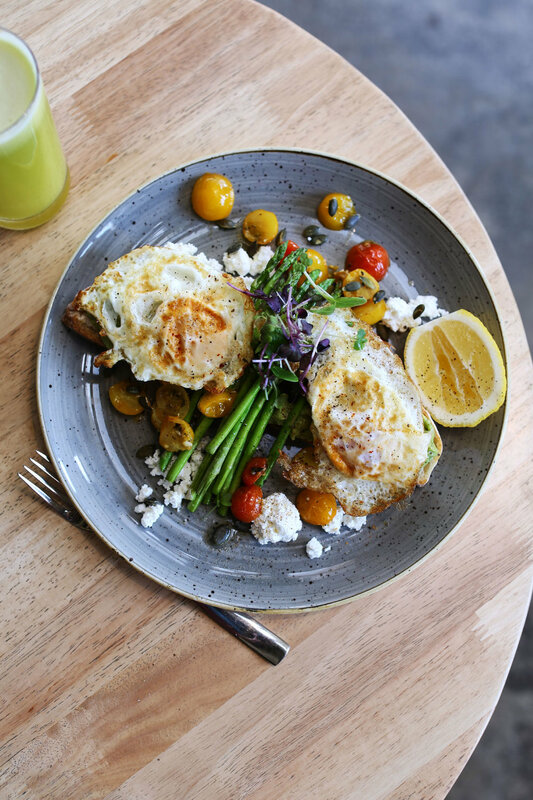 The space, the sunlight, the beautiful Avo & Egg on Sourdough will make you return as well.